My two sons are obsessed with Pokemon cards and Pokemon Go lately. (If you don't know what Pokemon are, you can check out the cards here.) My eldest loves playing the card game and the phone game and drawing the characters. My preschooler just loves trading the cards and looking at all the cute creatures. 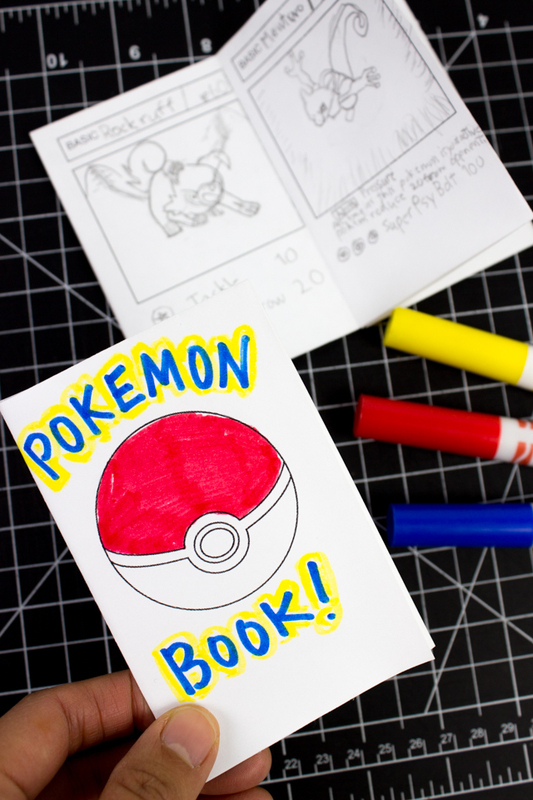 Here's a fun craft for all your Pokemon-loving kids too. 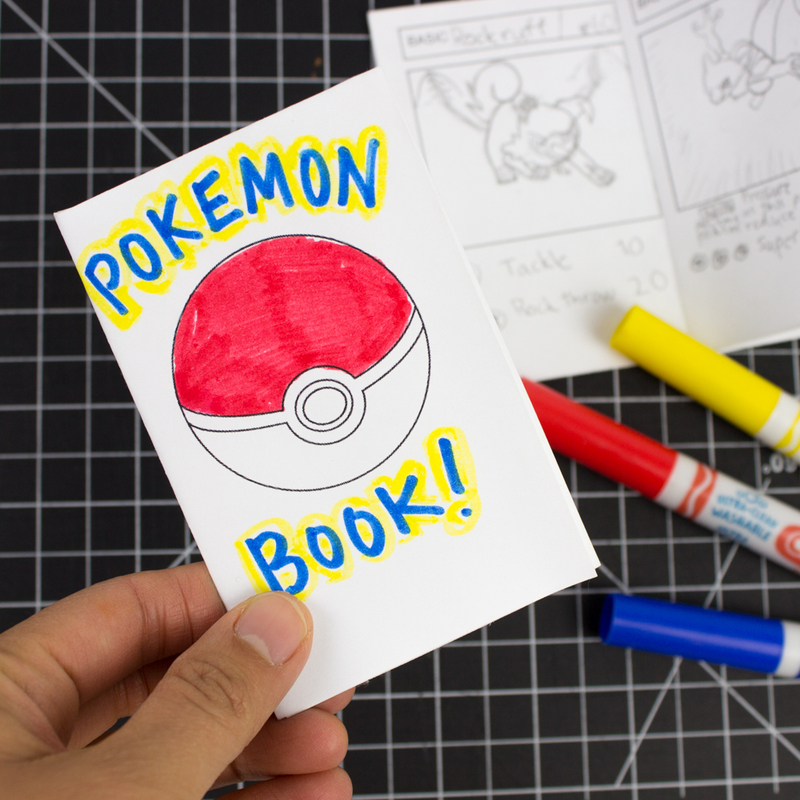 Simply print out this Pokemon Card Book Printable. 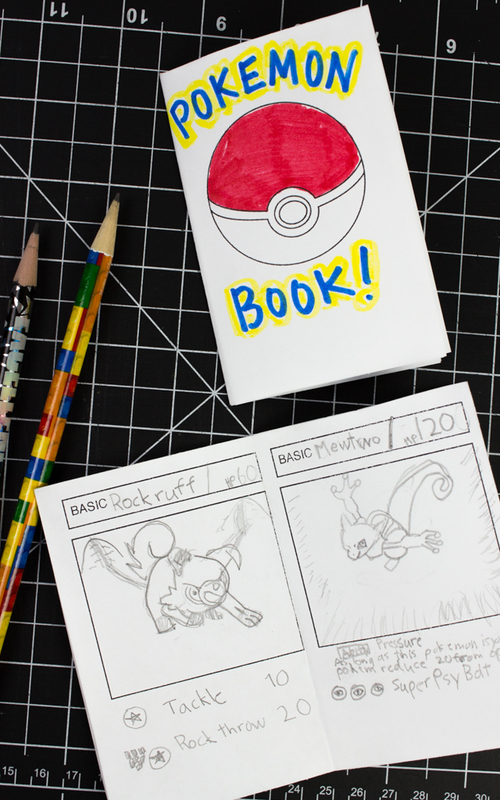 Then, follow these 9 steps and transform your sheet of paper into a cute Pokemon card booklet.